Our story brings us back to 1985, when a man took a risk after more than 40 years in the trucking industry. Our founder, Raymond Penfold Jr. (1927-2016), began VIP Tour & Charter Bus Company with the purchase of just one motorcoach; A 1953 GMC 4104, Bus #41, a bus that we nostalgically still have here today. Presently, his family carries on his legacy. Ray Penfold had been driving night and day all over New England for many years. Not only driving, but loading and unloading the freight he carried in the trucking industry. As the paper mills were going on strike, the work was thinning and the long, rigorous routine wore on Ray, he had an idea. 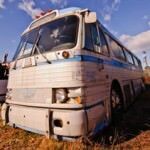 Why not purchase a motorcoach and transport people? The freight walks on and off itself, yet he’d still be able to drive, a passion of his. 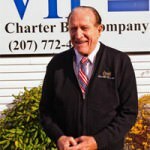 Thus began VIP Tour & Charter Bus Company, a company that has always been locally owned and operated by Ray Penfold and his family. As business grew, so did the number of employees and motorcoaches. We’re proud to say that we have had some of the same employees for over 20 years. Their hard work and devotion has played a significant role in over 30 years of success in the industry. It turns out, that providing modern, safe and reliable transportation to passengers is very rewarding. Our VIP family is honored to be a part of many special occasions and events that go down in history. We take pride in respecting our customers and truly honoring their right to be treated fairly and honestly. Today, our fleet is continually being updated, while creating a memorable and valuable experience for our travelers. We are proud to have been working with the same customers for decades, as well as earning the confidence of new customers on a daily basis. VIP seeks to be the consumer’s first choice for safe, efficient, reliable & comfortable transportation, tours & related travel services. To be a company that engages in sound business practices has an excellent safety records, regularly employs innovative marking, operations and customer service approaches, maintains its fleet to the highest standards, raises the standards for all motor coach companies and the profile of the entire motor coach industry and gives back to the community.